Ok so you know I have a big mouth by now. And I don't know how to shut it. But I have a blog for a reason and I intend to use it. First of all, I am against animal testing and 98% of the products I buy and use are cruelty free. Now, I believe everyone is entitled to their opinion. BUT looking down on people who use animal-tested cosmetics is like being a vegetarian and looking down on people who eat meat. That is disrespect. This woman is angry because she doesn't earn as much money as some makeup gurus do. But what does the money-making of being a guru have to do with animal testing? And why is she hating on gurus getting free products? I like to use cruelty free products. I like to feature cruelty products on my blog. Have I ever used cruelty free products? YES. Have I ever featured animal tested products? YES. But in a very small minority, because it's a cause I believe in. but I wouldn't like it if I was looked down on because I eat meat. I don't think anyone should be looked down upon for using cruelty free products. But NO ONE should ever impose their beliefs on other people. What do you think dolls?? Honestly this video makes me want to film a response video. If she feels so strongly about animal testing, why doesn't she take a stand and do something? Instead of making a video and complaining about make up gurus who, according to her, aren't using their time or money wisely. I thought about that too haha! 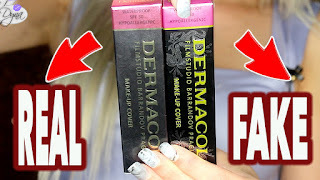 I do not agree with you on this Dyna,I agreed with her,she is angry because she does not want this animal testing to continue as it hurts and brutally kills lots of animals,therefore by people buying brands which do test on animals continues this animal testing. I have watched several videos showing the truth about animal testing and I cry every single time seeing this abuse going on which is heartless and should not be done especially as there are other methods on how to test this make-up..
Maybe you misread what I wrote, maybe you didn't. But as I have said I am a 100% against animal testing, because that is what I believe. I condemn animal testing because it is torture. But we are talking about the consumer aspect of things. She is condemning gurus who feature products that are animal tested. And besides, the money-making issue with gurus has nothing to do with the animal testing which is the main focus of the video, not animal testing. She merely uses animal testing to try and justify her envy of gurus who earn a living out of youtube. But that's just my take on things. I know that you are against animal testing as I follow your you tube videos etc and thanks to you I have found brands which do not test on animals but that said I think that the gurus who feature these products that are tested on animals are encouraging people to buy these brands. I would never feature a product which is tested on animals because I am a 100% against these brands. regards to the money making issue I did not agree with her on that. She tries to tell people not to buy these products but she did in an angry way which is not the best way. Before I knew which brands tested on animals I bought products by these brands as I was young and did not know anything about animal testing. I am vegan myself and I have never said anything to people who eat meat because that is their life and that said I hate it when people start questioning me why I am vegan. Everyone has his own lifestyle after all! and I get you point perfectly. I can't believe someone would question you for that, gosh I ADMIRE you for that. It's something noble and with good intentions. awwww god love her she is just jealous of all the big makeup gurus the more she watches the more she wants their life. Its a pity she cant waste that passion on something that could actually give her the life she dreams of . She is definitely entitled to her own opinion, but man is she going about things in the wrong way. I sort of see her point to an extent but to me she comes off as passionately angry rather than truly passionate. I also agree with you what does one thing have to do with another they aren't always the same topic. I am against animal testing when it comes to cosmetics, have I bought a product that was tested on animals, yes I have. Have I written about a product tested on animals, yes... I do not believe in using those products, but my problem was that I simply had no idea that they were tested on animals and I still have a lot to learn. Well on to what I really wanted to say. I agree with you Dyna. Everyone is entiltled to their own opinion wether or not we agree with them. I think she should have done a video about all the companies that tests on animals instead if she really wanted to make a usable video that we could take to heart. at some point she says that she is not going to unsubscribe to those gurus who use products tested on animals, because what would one less subbie matter? I thought that was a bit strange, why would she even spend time on those gurus she hates? Thanks for posting this Dyna.